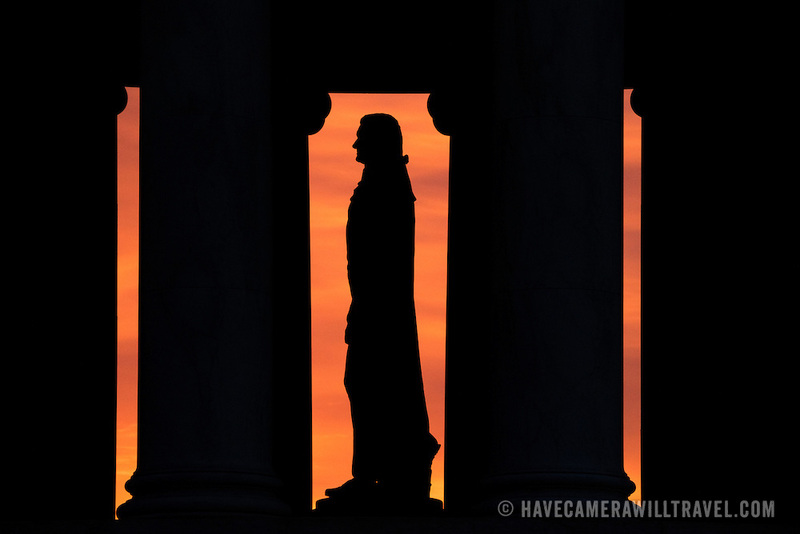 Washington DC--The large statue of Thomas Jefferson that stands in the middle of the Jefferson Memorial is silhouetted against the skies before dawn. The 19-foot high bronze statue of Thomas Jefferson was sculpted by Rudulph Evans. Opened in 1943 and designed by architect John Russell Pope, the Jefferson Memorial sits on an island on the southern bank of the Tidal Basin next to the Potomac and its Washington Channel.